Knowledgeable, compassionate and detail oriented, we strive to provide highly personalized funeral and cremation care at an affordable price. Originally founded in 1943, a commitment to fostering a legacy of quality service is the hallmark of our establishment. Whether you are in immediate need, or simply considering pre-planning for a funeral or cremation, we have the insight and experience necessary to guide you through this time. From coordinating religious ceremonies for all faiths to securing cemetery plots, F.L. Sims ensures your loved one will be taken care of. 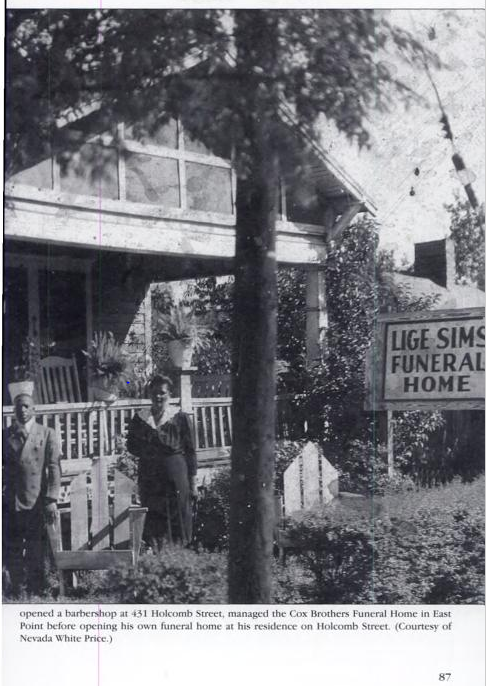 Lige Sims Funeral Home was originally organized in historic East Point, Georgia in 1943. At this time, East Point was known as a hub of African American entrepreneurship. Elijah “Lige” Sims had been a prominent business owner and member of the vibrant East Point community, located just outside the city of Atlanta, for years. 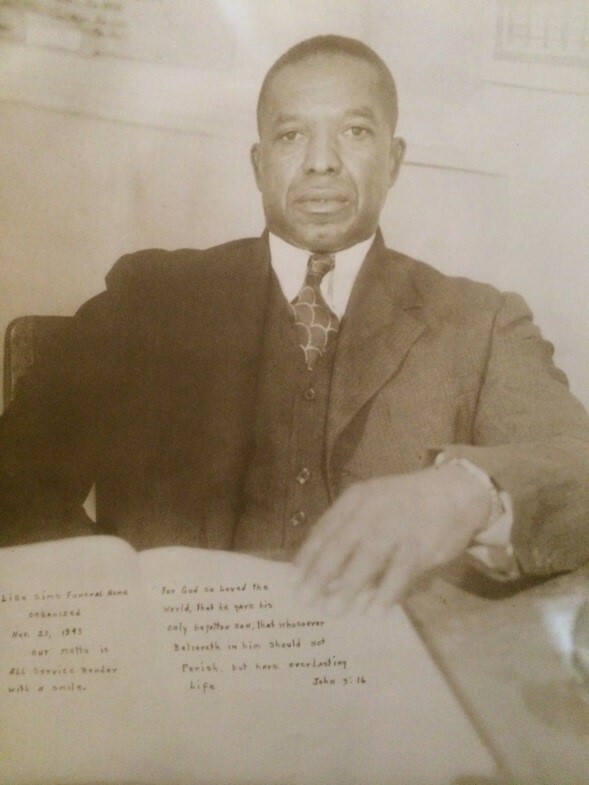 Prior to establishing his own funeral home at 431 Holcomb Avenue, Lige was the sole proprietor of a local barber shop and had also found success as the managing director for the Cox Brothers Funeral Home’s East Point location for almost a decade prior. It was here on Holcomb Avenue that Lige opened his home to the East Point community, providing funeral care for the residents of East Point and surrounding areas, hosting revivals and church services and even renting out an upstairs unit to a restaurant tenant at one point. In 1957 East Point received a Georgia Urban Redevelopment Law state grant that forced many black owned businesses to relocate. The bustling community that once claimed numerous businesses including restaurants and night clubs, beauty salons, cab companies, funeral homes, grocery stores and even a semi-pro baseball team that played at a park across the street from Lige Sims’ Funeral Home was all but bulldozed over. Resilient by nature, Lige moved his funeral home further south of Atlanta to Fairburn, Georgia. The business remained an extension of his home and it is there that Lige’s youngest daughter, Cynthia, observed her father’s business which he operated until his death in 1970. Unfortunately at this time, none of Lige Sims’ children were old enough to take over the management and day-to-day operations of the business he had planted and tended to diligently for almost 30 years as it took root. It wasn’t until 2008 that Cynthia Sims’ oldest son, Fernando, reinstated his grandfather’s business and carried on his family’s legacy. Having grown up just down the street from where his grandfather’s funeral home had last operated, and hearing colorful stories about Lige’s audacious personality, Fernando saw a need for quality funeral care in Metro Atlanta. Naturally he was drawn to picking up where Lige had left off. He decided to continue the legacy of his late grandfather and reopen a funeral home under the Sims name. Bringing local, affordable funeral care that delivers compassionate and personalized service to families throughout the Southeast, and aptly named for its current proprietor as well as its founding father, F.L. Sims Funeral Home now has three convenient locations in Metro Atlanta. Today the industry and resiliency of Lige Sims live on as his Grandson and extended family are invested in bringing a legacy of quality service to the families they serve and the greater community beyond. F.L. Sims assists families of all backgrounds and ethnicities and, while the business is still small enough to feel like an extension of a welcoming home, F.L. Sims has grown to accommodate families throughout the United States and even internationally. Information sourced from East Point, Georgia, written by Herman “Skip” Mason Jr. and published by Arcadia Publishing in 2001. As outlined in Lisa Shannon-Flagg’s dissertation, “A Little Bit of Heaven”: The Inception, Climax and Transformation of the East Washington Community in East Point, Georgia, completed in 2008 and housed by Georgia State University’s History Department.